Then you'll love the information contained within this guide. A Quick Overview: What is a B2B Portal? At the most basic level, a B2B portal is essentially a website where Business to Business (B2B) buyers can view a product catalog, initiate quotes, place orders and pay bills online. When deployed correctly, a B2B Portal can and should become your #1 sales rep.
Brands are investing significantly into B2B platforms these days. The need to innovate and differentiate with technology not only enhances your customers buying experience, creating additional revenue but also streamlines back office operations, reducing cost and increasing overall customer satisfaction. It's a win win for both sides of the equation. The NuORDER B2B Wholesale eCommerce App for NetSuite allows brands to seamlessly sync Product, Inventory, Company, Contact and Order information between NetSuite and NuORDER. Envoy B2B is a wholesale content and eCommerce platform to grow your brand. In the cloud and connected natively to Netsuite, Envoy B2B is built for the Apparel, Footwear and Accessories (AFA) industry and supported by AFA experts. Sync orders between NetSuite and NuORDER. Reduce errors and eliminate double-entry. Send inventory information from NetSuite into NuORDER. Send account / customer data from NetSuite into NuORDER. Sync products between NetSuite and NuORDER. Use a barcode scanner with NuORDER to quickly find and order products. * When items, inventory levels or customers change in NetSuite, they will be added to a queue. This queue is synced to NuORDER automatically four times daily. Orders will sync from NuORDER to NetSuite in approximately 15 minutes. As you can see there are many similarities and differences between EnvoyB2B and NuORDER. Both options can sync customers, items, inventory and orders. But the main differences have to do with the speed of deployment and integrations. Envoy can be deployed within 1-3 weeks and provides real-time integration syncs between inventory and sales orders providing up to the second information whereas NuORDER syncs are every 15 minutes and takes several months to deploy. 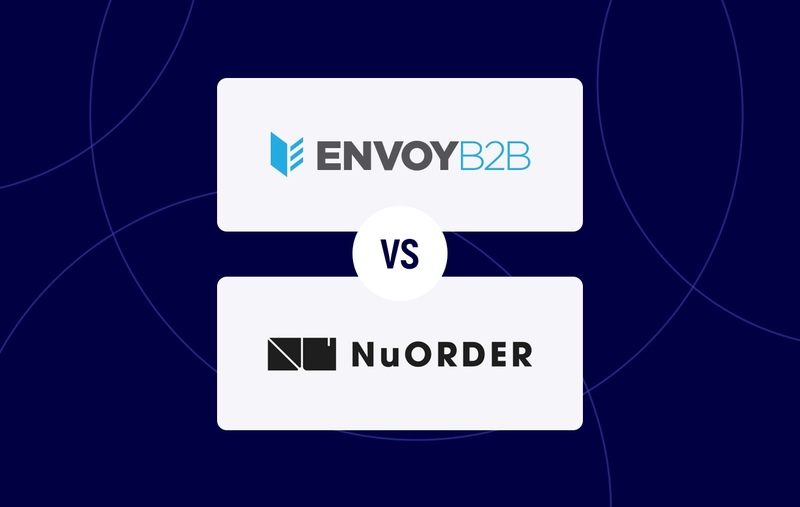 The last and final distinction between the two offerings is that EnvoyB2B is purpose built for the Apparel, Footwear and Accessories industry, whereas NuORDER supports other verticals. If you run NetSuite and are in the AFA industry you'd be hard pressed to finder a better B2B Portal solution than Envoy. If you are in the market and comparing your B2B Portal options on NetSuite let's start a conversation, contact us.